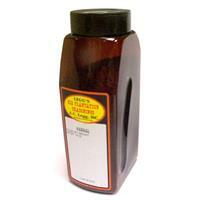 Home > Seasoning & Ingredients > Spices > Spice - Fennel - Ground- 7 Oz. Anise-like, slight licorice flavor - fennel is generally described as having a sweet aromatic flavor and aroma that is similar to anise (licorice-like) but less intense. It has a slight menthol undertone with musty/green flavor notes.